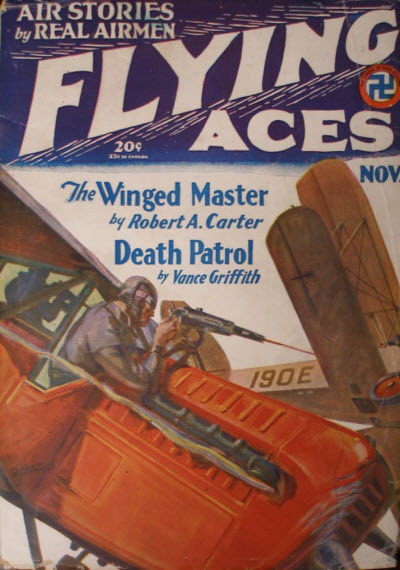 THIS week we have another exciting air adventure with Rusty Wade from the pen of Frank Richardson Pierce. Pierce is probably best remembered for his prolific career in the Western Pulps. 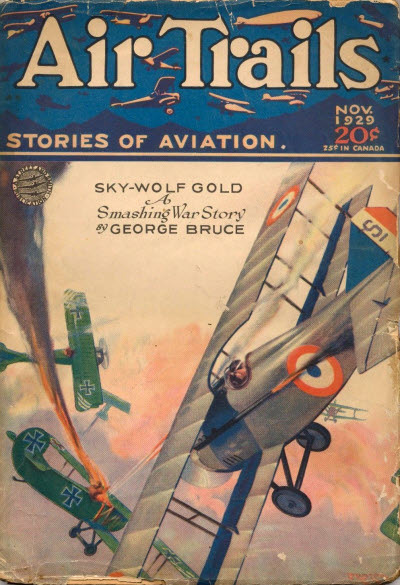 Writing under his own name as well as two pen names—Erle Stanly Pierce and Seth Ranger—Pierce’s career spanned fifty years and produced over 1,500 short stories, with over a thousand of these appearing in the pages of Argosy and the Saturday Evening Post. With disaster staring him in the face, “Rusty” Wade hurls defiance at the high gods of the air. Since we’re deep into the dog days of summer, we thought we’d give you a shaggy dog story from the pen of Joe Archibald. Instead of our usual Phineas Pinkham mirthquake we have the story of Muggins, a scottish Irish terrier, that finds himself taken in by a squadron fighting a loosing battle with the Germans and turns their luck around! What a buddy for a fighting, daredevil pilot! Yet this dog was air-wise, every inch of him—and he proved it through the snarling menace of a thousand flaming Jerry tracers.